BMW’s “soft close automatic doors” were introduced in 2002 and billed as a luxury feature for drivers trying to step out of tight parking spaces. It works by using a sensor and an electric motor that automatically secures the door shut whenever it is within 6 mm of the lock. “In tight parking spaces or whenever a gentle closing of the door is appreciated, soft close automatic provides a helping hand,” BMW has said of its feature. Long Island software engineer Godwin Boateng has a very different description of that feature: something closer to “a guillotine,” according to the attorney representing him in a federal lawsuit against BMW. Boateng is the latest person to claim that BMW’s soft-closing doors lack proper sensors to detect any fingers or other stray body parts in the way. According to the suit, Boateng was meeting his friend for dinner on July 6, 2016. He parked his car on a busy road and rested his hand on the driver’s door column as squeezed out of the car. Suddenly, he says, the door’s automatic feature activated, despite his thumb in the way. “With the front driver’s door approximately one-foot ajar, the SCAD [Soft Closing Automatic Doors] sensor activated the electric motor, which pulled the driver’s door firmly, and not ‘so softly’ snapped through the flesh, nerves, blood vessels, tendons, muscular and bone structure of Boateng’s right thumb,” says the suit he filed in a federal court in Brooklyn. Boateng described the accident as happening so fast he couldn’t react in time. "The thumb got inside, and all of a sudden it just snapped, it snapped closed," he told an ABC affiliate. "I was just hysterical, screaming. I didn't know what to do." Boateng, who told the New York Post that he was impressed by the idea of BMW's soft-closing doors when he bought the $70,000 car, is not the first person to call attention to potential safety defects in the feature. A separate lawsuit with class-action status filed several years ago describes a 2014 BMW 750Li automatically closing and crushing plaintiff Avi Azoulai’s right index finger. Azoulai said that BMW should have included additional sensors in the feature to detect anything that might be in the way. 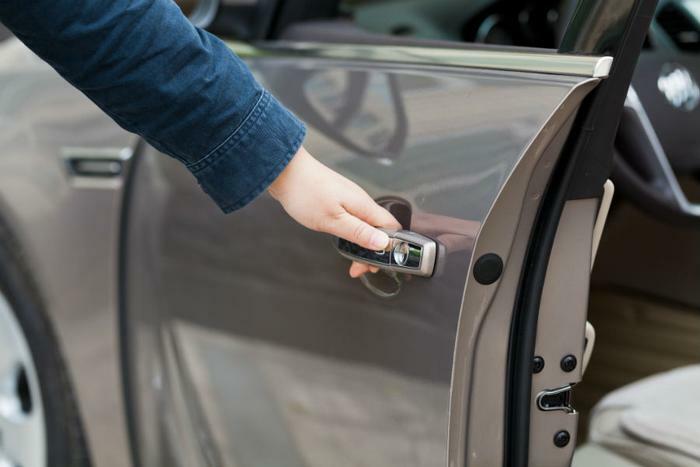 But a federal judge dismissed the case last year on the grounds that people have been slamming their fingers in car doors since cars were invented. Nevertheless, BMW issued a recall not long after the verdict was handed down over its soft-closing door feature, though that addressed a different apparent safety problem. In the recall, BMW said that in 45,484 of its cars with the feature, the soft-closing doors may suddenly fly open while drivers are on the road. BMW has not yet returned a request for comment.